Children's and Kids' Dog Story Books: Mugzy Stories Online. Children's & kids' dog story book: Mugzy stories. 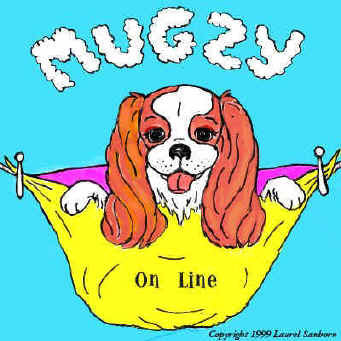 Mugzy is a King Charles Spaniel that will entertain your children online. Read with your child as Mugzy has adventures at the beach & Gramercy Park. just "click" open the book to find more about Mugzy!